Today Serbia is starting the process of negotiations with the European Union (EU). The date coincides with the 20-year anniversary of the signing of the Dayton-Paris agreement which ended the war Bosnia and Herzegovina. High hopes are entertained on both sides not just when it comes to the accession of Serbia to the EU, but also for the positive evolution of the Balkans as a region. This comes at a time of growing legitimacy challenges in the whole region and of increased risks of another round of Balkanisation. In that, Serbia is seen as having a major stabilising influence, a role that has so far proved to be hard for it to play. The EU, however, has not much of an alternative strategy for the part of the Balkans that has still not acceded to the EU. Currently, not unlike periodically in the past, the Balkan countries are undergoing one legitimacy crisis after another. Those have to do both with the dissatisfaction with their governments, but also with the doubts about the adopted or evolving political strategy. The way to settle the legitimacy issues and settle the policy discussion is elections, early ones if needed. Those have been held in a number of countries, e.g. Serbia, Montenegro, and Macedonia, but the issue of their regularity has been raised in the latter two countries. In the case of Bosnia and Herzegovina, the issue of legitimacy is not just an electoral, but also a constitutional one. In Albania, concerns with legitimacy have been put aside, though they chronically arise due to the divided political space. In Kosovo, there is a crisis of legitimacy of the government and of the overall political strategy. Finally, in Serbia there are growing doubts about the pro-EU strategy of the government. Serbia: growing doubts about the EU integration strategy, though the government commands widespread support and is quite determined to pursue the goal of joining the EU. The support may erode if the doubts about the benefits of joining the EU increase and that may develop into a full-blown legitimacy crisis – because the Serbian public does not feel comfortable with the current territorial and political set-up of the region, which however cannot be changed if the goal is to join the EU. Kosovo: the government has slim legitimacy for reasons of corruption and incompetence, while the strategy of normalisation with Serbia that involves the creation of an autonomous association of Serbian counties is quite unpopular. A full-blown crisis of legitimacy is not improbable. Historically, practically for the same reasons (corruption and limited sovereignty), Kosovo has been going through one crisis of legitimacy after another since at least 1968. Montenegro: the government faces complaints that it has been rigging the elections, which requires that the upcoming early or regular elections are closely monitored. However, there is also an attempt to delegitimise the political strategy of EU integration, NATO accession, and of the secularisation of the state. There is, in addition, the succession problem due to the long reign of the current prime minister (over 25 years, but perhaps more realistically since the independence, that is from 2006 on). Macedonia: the government has lost legitimacy, though this is somewhat of a complex claim given the multi-ethnic configuration of the public space. Also, the government’s strategy of not pushing harder for EU integration is losing support. The upcoming elections, at the end of April at the latest, can lead to stabilisation only if there is a change in government, which is uncertain without fairer elections, which the government is not altogether ready to agree to. Bosnia and Herzegovina: the legitimacy of the government on all levels is practically non-existent. This is a feature of the constitutional system, not a bug of ongoing politics. This crisis of legitimacy in the Serbian Republic in particular has the makings of a state crisis as the current President is determined to hold a referendum that would be the first step to secession – in order for him and his party to retain the control of power. More recently, further cooperation with the state judiciary and the police have been discontinued by the President and the government of the Serbian Republic. So, the legitimacy of the current set-up in most Balkan countries is clearly contested, to put it mildly. There are two influences that in a way work hand in hand to push the region into a collapse. On the one hand, the EU has proved unable and not ready to speed up the process of Balkan Enlargement. It has substituted the more ambitious approach with the regional approach, i.e. regional stabilisation and cooperation before negotiation and integration with the EU, which has proved to be slow in delivering results. Also, in part, it is inconsistent with the hub-and-spoke strategy, i.e. the regatta approach, of the Balkan Enlargement. Finally, the EU has proved unable and disinterested to acting in one case in which it is an obstacle to the integrative ambitions of a candidate country. i.e. in the case of Macedonia. The EU is a destabilising rather than a stabilising actor in that case. But it has also proved to lack ideas and initiatives when it comes to Bosnia and Herzegovina, both in terms of its internal transformation, e.g. effective democratisation and its process of integration with the EU. This has been changing slowly, with the increased interest in intra-Bosnia and Herzegovina cooperation, but that is precisely the reason for the growing intransigence of the President and the government of the Serbian Republic. In the last few years, the EU has staked its Balkan strategy of achieving success in Serbia. The premise seems to be that if Serbia is ready to join the EU and assumes a stabilising role in Bosnia and Herzegovina and Montenegro, and most importantly in Kosovo, the whole region can move forward and the country-specific problems will be easier to solve, and indeed may solve themselves on their own. This strategy is unlikely to work, as it did not work in the past. The reason is clear: the Serbian government, independently of which party is in power, can be expected to demand concessions in all the regional issues if it is to do the EU’s job in the region. If those are not forthcoming, as they are not likely to be, public dissatisfaction is bound to increase, as indeed it already has. And then there is the alternative. Russia is openly opposing EU Balkan enlargement. Up until recently the opposition was only to NATO Enlargement, but with the more assertive role that Russia is assuming in Ukraine and in the Middle East, the Balkan legitimacy crises are seen as instrumental to the goal of weakening the EU, which is facing taxing challenges anyway. 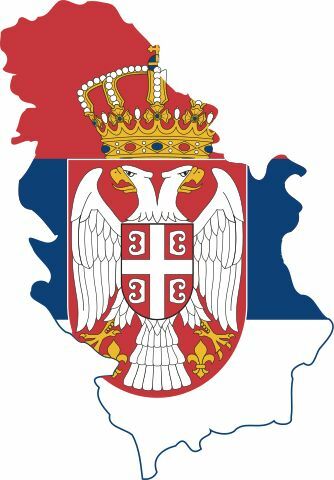 So, Russia is openly supporting Montenegrin protests, Serbian nationalistic opposition, and the secessionists in the Serbian Republic in Bosnia and Herzegovina. The operative word here is ‘openly’. This is in part due also to the loss of the indirect means of influence in the Balkans after the collapse of various gas pipeline projects that should have increased Russia’s economic and thus political influence in the Balkans. So, at the moment, the Balkan region is in a state with high risks of another round of Balkanisation.